An Italian-born Swiss native found himself moving to Paris in 1922, becoming fascinated with the artistic movements of cubism and surrealism. 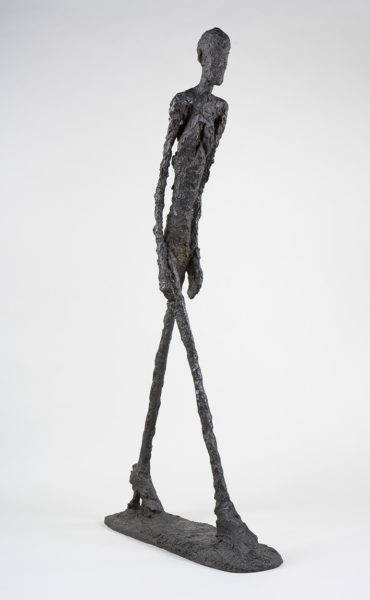 It was then, Giacometti became inspired to create his own sculptures of people and the reality of human nature. The unconsciousness as well as his constant analysis of society is what gave him the tools to depict human nature in its most pure forms through his lenses. Living through a time of international war, his raw perspective of the human character is what paved the way for the unrealistic portrayal of the human body with the thin, and at times, cryptic sculptures that evoke emotion to its audience. Its theme of stagnancy and the loss of human individuality can be seen through his many sculptures of dreary and shadowy figures. "Our institution does have a really rich history with Giacometti. Not only through the visionary collector of the Guggenheim, but also in the staging of the artist’s first museum exhibition in 1955," said co-Curator Megan Fontanella. 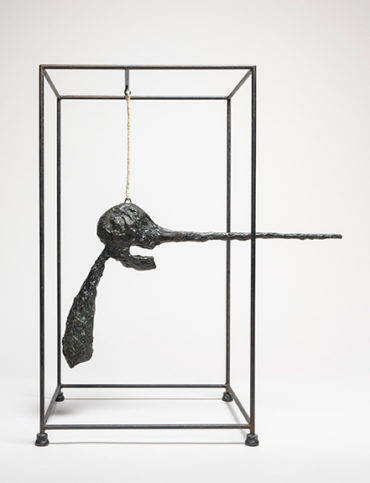 The exhibit contains selections from the Fondation Giacometti and celebrated works from the Guggenheim collection, such as the bronze sculptures Spoon Woman (1926; cast 1954) and The Nose(1949; cast 1964). Loans from private and public collections further supplement the exhibition. 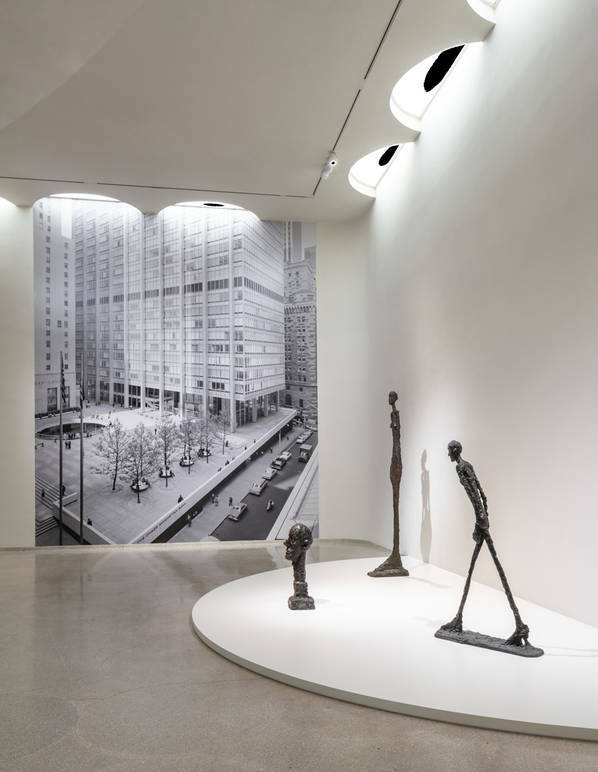 Other highlights include a group of three sculptures from the late 1950s related to Giacometti’s unrealized project for the Chase Manhattan Bank plaza in New York, a major monument designed for an urban public space. 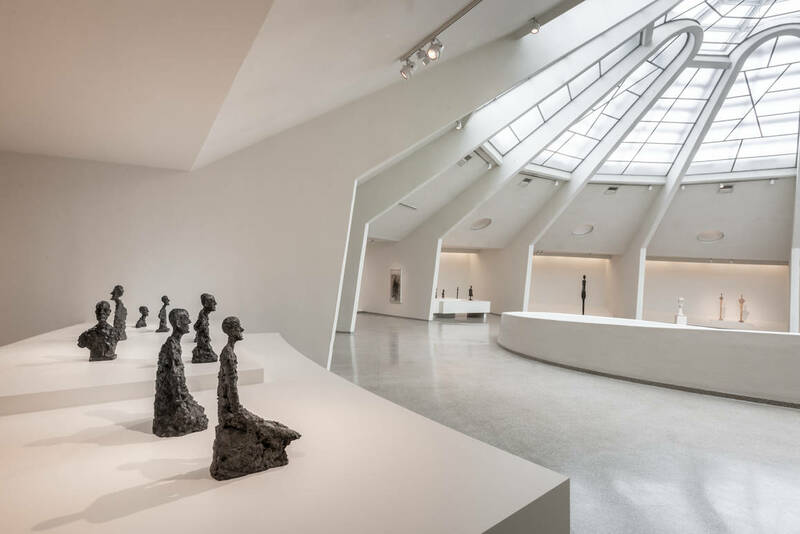 Installed in the museum’s High Gallery, these large-scale works embody three motifs Giacometti explored during last 20 years of his life: standing female nudes, walking male figures, and bust-length portraits of family and friends. The final section of the exhibition, on the museum’s top ramp, presents footage from a film by Ernst Scheidegger, a friend of the artist, showing Giacometti at work in his longtime Paris studio. Lavazza, popular coffee manufacturer, has a long history of supporting the arts and culture through its campaigns created by Armando Testa. Thursday, guests were not only treated with the wonders of Giacometti's work, but incredible coffee products and beverages by Lavazza. The company has paved the way for many large companies to take the initiative to perserve and emphasize the importance of art and culture. "I'm honored to be back at the Guggenheim today as Lavazza supports the opening of this remarkable exhibition that marks the fifth collaboration with the Peggy Guggenheim foundation." Said Francesca Lavazza, the fourth-generation member of the family at the helm of the company. "I'm humbled to get to know that Lavazza played a small part in making great exhibitions like this one accessable to all."